Criminal Court has ordered authorities to release Ahmed Ashraf AKA Shumba Gong – charged with intimidation - from house arrest. Shumba is accused of threatening the life and property of Zahid Rameez – a PPM council member – on multiple occasions via text message and social media on October, 2015. He was charged with intimidation in 2016 and ordered to detention pending the outcome of his trial. He was transferred to house arrest on March 1, 2017 after over a year in jail. Shumba, a political activist, has been sighted in public despite his house arrest since the election defeat of former Maldivian President Abdulla Yameen Abdul Gayoom in September. A staunch supporter of former Vice President Ahmed Adeeb Abdul Gafoor, he has also joined the newly formed Maldives Third-Way Democrats (MTD), and has been active in promotional activities for the party. 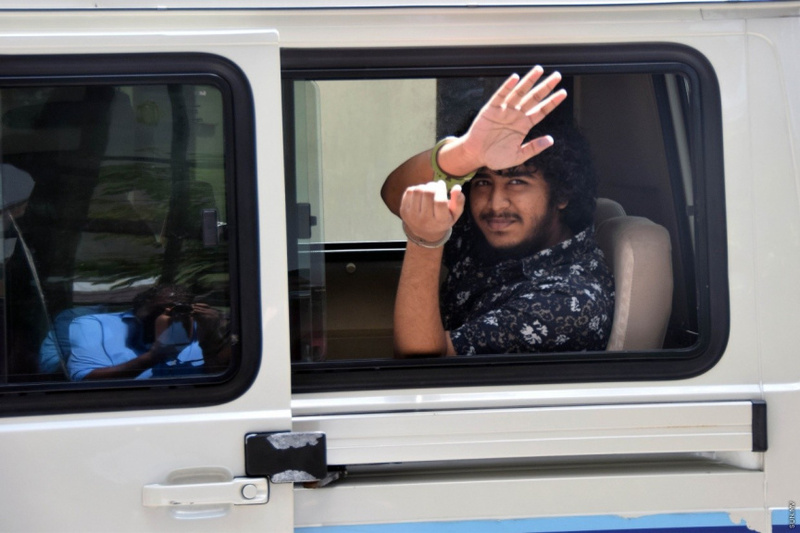 Shumba was originally arrested in 2015 from Sri Lanka where he went after authorities began seeking him for questioning in connection with the investigation into the explosion on board the presidential speedboat ‘Finifenma’ in 2015 – a conspiracy to assassinate or cause bodily harm to Yameen and other senior State officials at the time which Adeeb is accused to have been the ringleader of.